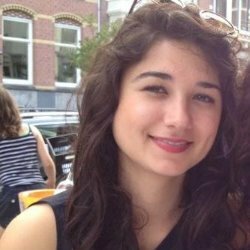 Defne is a freelance writer and editor with several years of experience writing for various companies and publications. She considers herself a jack-of-all-trades writer, as she can cover any topic ranging from dating and relationships all the way to technology and business. In addition to running her own blog, she has written for a number of marketing and web design agencies in New York, who have dealt with Fortune 500 clients. Defne's writing on dating and relationships has been featured on Yourtango and PuckerMob. Since the start of her career in the field, Defne's articles have gotten over a million shares online, and her success inspired her to start her own blog, Definitely Defne, which gained over 2,000 visits within the first month of launching. Defne's personal experiences often make up the backbone of her work, which makes them that much more authentic. Defne's first job out of school was as a copywriter for a social media and marketing startup. During her time there, she wrote various blog posts relevant to the social media and online marketing landscape, while learning all about tech terminology. This was foundational for her work as a freelance writer for Taktical, a marketing agency in New York, and Web Design of NY, whose client roster includes IT tech companies. Defne has always been passionate about comedy and anything pertaining to making people laugh. She took an improv course at Boom Chicago, a celebrated improv theater in Amsterdam and attended a 10-week TV writing course in the summer of 2015, where she was able to complete her first comedic TV script. Since then, she's been writing a number of comedic sketches during her free time and often goes to see live shows at Upright Citizens Brigade. These days, Defne works as an Associate Producer at Viacom. To learn more about Defne, visit her LinkedIn profile and follow her on Twitter.